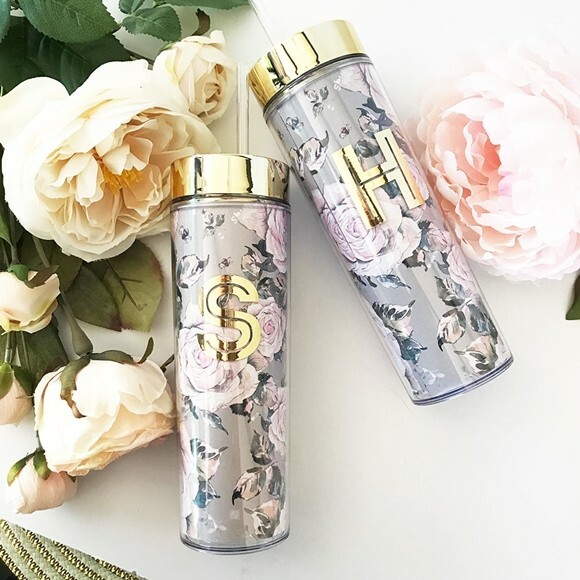 These fabulous rose garden motif acrylic tumblers feature a gold foil monogram initial in a contemporary block font. Sold individually, each tumbler includes a lid and straw, and a metallic gold vinyl rim. The tumbler is made of BPA-free acrylic. Care instructions: Hand wash only as the tumbler is not microwave or dishwasher safe.